We have 103 adventure games in our database that start with the W. If you're looking for a specific game, try using our adventure game search page. You're currently on page 1 (of 9). Set in a peaceful, blood-curdling village blessed with gorgeous panoramic mountaintop views and the blissful stench of rotting corpses, Wailing Heights is home to the likes of vegan werewolves, hipster vampires, gossiping ghosts and all manner of well-adjusted supernatural taxpaying homeowners. A first-person simulation of the life of American philosopher Henry David Thoreau during his experiment in self-reliant living at Walden Pond. Set in the world of Robert Kirkman’s award-winning comic book series, The Walking Dead stars Lee Everett, a convicted criminal who has been given a chance for redemption in a world devastated by the undead. 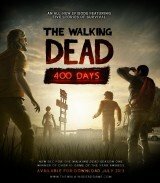 A downloadable expansion to the first full season, this adventure chronicles the horrific aftermath of the undead outbreak through the eyes of five new characters as they struggle to survive the first 400 days of the apocalypse. When family is all you have left… how far will you go to protect it? Years after society was ripped apart by undead hands, pockets of civilization emerge from the chaos. 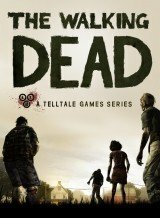 In the dramatic series finale, convicted killer Lee Everett must head out into the zombie-ravaged streets of Savannah to track down 8-year-old Clementine and discover the secret behind the mysterious voice on the other end of the radio. In the wake of terrible loss, the group arrives in Savannah in search of a boat and escape from the horrors around them, where they are stalked not only by the constant danger of the undead but also by an unseen human menace. If you’ve followed The Walking Dead all the way through, this tight and powerfully executed finale will be sure to satisfy. Get those tissues ready. Clifftop Games and Faravid Interactive show no sign of a sophomore slump with Whispers of a Machine. This futuristic murder mystery with some innovative gameplay, flexible puzzles, and built-in replayability should be enough to pique any adventure gamer’s interest.